Evan studied at the Cleveland Institute of Music and the Berklee College of Music, and has served on the faculties at Wellesley College, California Jazz Conservatory, and the University of California, Berkeley. But much of Evan’s music education occurred outside of a classroom. When it comes to violin styles, Evan has tried and mastered them all. He has performed with violin masters like Stephane Grappelli, Johnny Frigo and Vassar Clements, as well as with pop icons like Stevie Wonder to Led Zeppelin’s Jimmy Page and Robert Plant. He is a ten-year veteran of the GRAMMY Award-winning Turtle Island String Quartet. Since 1998, Evan has been proud to call himself a member of The Hot Club of San Francisco,perrhaps the most venerable gypsy jazz band in the US. 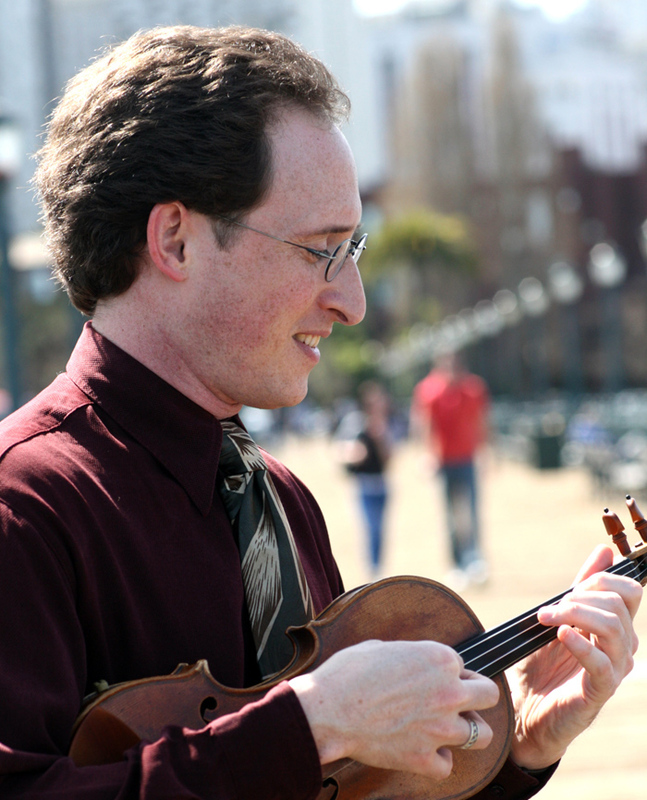 Evan on violin.An accomplished composer, Evan has contributed compositions and arrangements to the repertoires of Hot Club of San Francisco, Turtle Island Quartet, Quartet San Francisco, the San Francisco Girls’ Chorus, River Oaks String Quartet, the New Century Chamber Orchestra, and the International Space Orchestra, for which he also serves as musical director.